We often think of stress as a bad thing but a healthy amount of stress is great for helping us become better, learn more, to thrive even. This kind of stress is known as eustress. 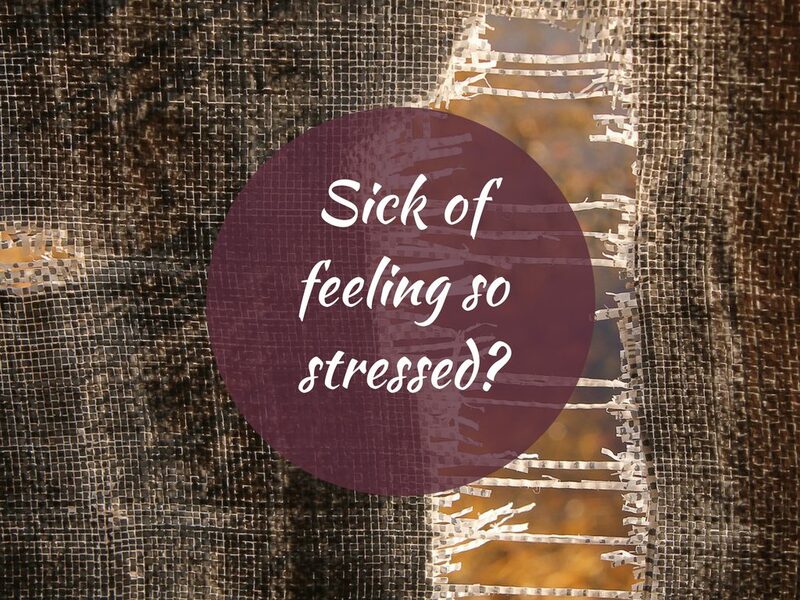 The kind of stress that is less healthy – that can be positively unhealthy if it becomes chronic – is known as distress. It’s what so often happens in modern life. We live sophisticated lives with our devices and 24/7 living but our bodies and brains simply weren’t designed to cope with so much excitement and stress. Our ancient ancestors lived mostly peaceful existences and their stress responses would be triggered occasionally by sabre toothed tigers and similar actual threats to life and limb. Physiologically, we might react in the same way to the thought of an email or a conversation at work. When we don’t allow ourselves enough downtime and rest, our nervous system gets unbalanced. We start producing stress hormones even without having stressful thoughts let alone actually being in the grave danger our limbic brains think we’re in. This can result in unpleasant symptoms like feeling like crying, snapping at people, outbursts of anger, self-harming behaviours and insomnia. I always know when I need to up my own self-care because little irritants start feeling bigger than they are. · A safe, confidential space to begin to explore your feelings and thoughts about the causes of stress in your life? · To learn and practice mind/body tools to help you change your physiology to genuinely feel more relaxed, safe and at ease, some of which can be done anytime, anywhere? · To learn energy work tools to help you shift those blocks, to express so called ‘negative’ emotions in a way that honours them without being held hostage to them? · To explore potential triggers and causes for stress? · To make peace with your past and connect with the part of you that’s more than your overwhelm or stress? · To make positive changes to your life, learning to set healthy boundaries and assert yourself, saying ‘No’ to what adds to your stress so you have more time and energy for what actually matters to you? · To learn to soothe yourself more easily when you are feeling stressed so you learn to treat yourself with more compassion? · With practice, to retrain your autonomic nervous system and rewire your brain so that you honour whatever it is you’re feeling without getting stuck in the feelings. Instead, harness them (even stress) in a powerful way? All my work is collaborative so the choice about the direction we take and tools you learn is entirely up to you. The fact that you’re even reading this, looking for support and knowing you can improve things is a big step. If we work together and this element of my approach interests you (it’s a collaborative process and always your choice), I can teach you some simple and effective mind body and energy work self-care tools to help you manage stress. You can help yourself right now by clicking HERE for a blog post with lots of self care for stress tools, HERE or the image below and choosing the taster videos for breath practices, yoga poses and meditations that most closely align with how you’d like to feel.